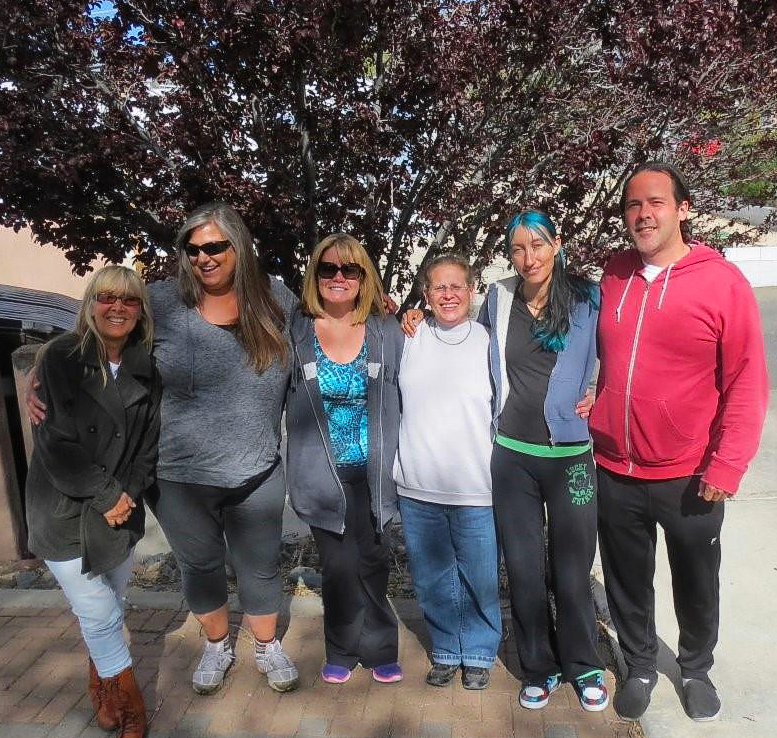 I took this photograph of the Reiki I & II certification class that I taught in Prescott, Arizona on April 26 & 27, 2014. They are now Reiki Level I and II certified practitioners. Congratulations! This is an illustration of my new Reiki business card that I just received from the printer. I am noticing the small snowflakes coming down in Prescott, Arizona today. This weather reminds me of our individuality and the changes that each of us experience throughout our lives. When we choose to direct how we respond rather than react to life, most everything changes for the better. Sometimes we experience serendipity! Becoming a certified Reiki Practitioner is a wonderful experience that brings many positive life changes. In addition to the personal and spiritual growth you receive, there is a tremendous satisfaction and fulfillment in helping your clients to feel dramatically better after Reiki treatments. Having a Reiki practice and serving many people of different ages and conditions while earning a well-deserved living, is a dream come true for many Reiki Practitioners. 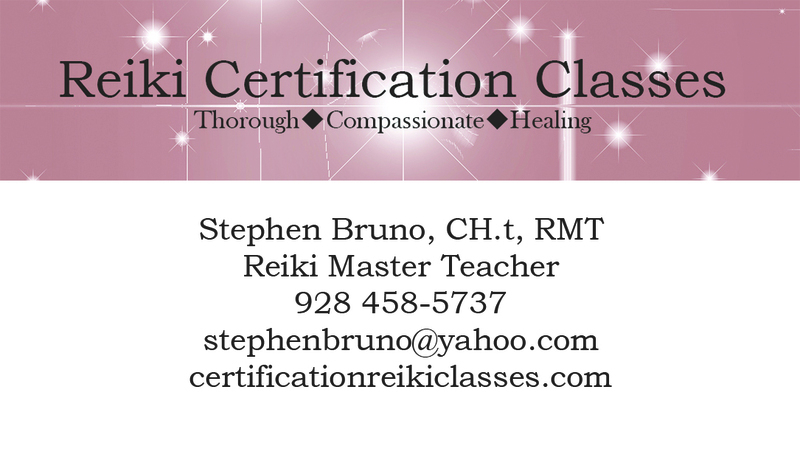 For those of you who want to develop your knowledge and skills to an even higher level, I also teach certification classes for Reiki Master Teachers. Many of my Reiki Master Teacher students continue to teach their own certification classes around the United States and abroad. The next Prescott, Arizona scheduled Reiki Levels I & II Certification classes, are on Saturday & Sunday, April 26-27 2014. 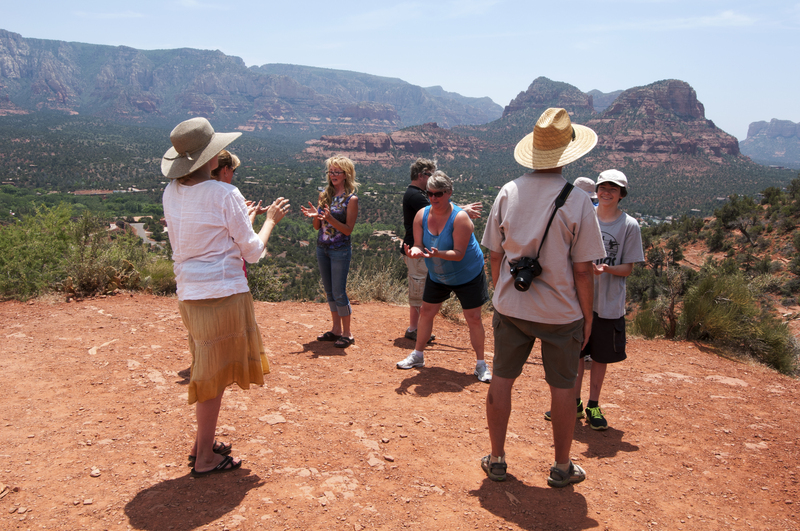 I am teaching a Reiki Master Teaching certification class in Prescott, Arizona on Saturday and Sunday, June 22, 2014. You can click on the tabs at the top of any page on this site to read more about these classes and the curriculum. Click on the other tabs to learn about what Reiki is, its benefits and about me. You will learn about my mission and approach to teaching Reiki. I have many years experience and teach thorough and compassionate classes.